My co-workers mentioned something about cheat days and weight loss during lunch today, but I’m not sure what they meant. What were they talking about? Man sneaking cake in kitchen. They likely were discussing a new study published this month that says taking a “cheat day” or short break from dieting may help some people lose weight. In the study published Sept. 19 in the International Journal of Obesity, researchers said that avoiding continuous dieting may aid some people in losing weight and in keeping the weight off. The study involved a group of 51 obese men who participated in a four-month diet that included restricting their calorie intake by one-third. Half of the participants stayed on the strict diet for the entire four-month period, while the other half maintained the strict diet for two weeks, then took a two-week break from the diet and ate the same amount of calories that they were burning. The latter group did the two weeks on, two weeks off approach to the diet the entire four-month study period. 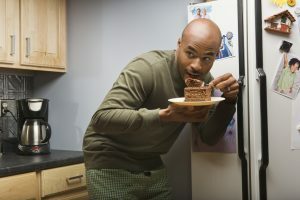 The men who followed the two weeks on, two weeks off “cheat days” diet lost more weight than the group of men who maintained the strict diet, according to the study. The study also found that the men who where in the “cheat days” group maintained an average weight loss of 17 pounds more than the strict diet group some six months after the end of the diet. The study authors attributed the weight loss to “adaptive thermogenesis,” a process which a person reduces their food intake during dieting and their resting metabolism decreases, making weight loss harder to achieve, the lead study researcher said in a statement. “While further investigations are needed around this intermittent dieting approach, findings from this study provide preliminary support for the model as a superior alternative to continuous dieting for weight loss,” the lead study author said. In general, restrictive diets don’t work, said Dan Remley, field specialist in Food, Nutrition and Wellness for Ohio State University Extension, the outreach arm of the College of Food, Agricultural, and Environmental Sciences (CFAES) at The Ohio State University. In the meantime, for those who are trying to lose weight, most experts agree that eating more fruits, vegetables and lean protein; decreasing your sugar intake; drinking more water; and incorporating some form of exercise into your daily routine can aid in helping you shed a few pounds. Editor: This column was reviewed by Dan Remley, field specialist in Food, Nutrition and Wellness for OSU Extension. Turns out that the hot dogs I had planned to make for lunch yesterday were recalled but I had no idea. 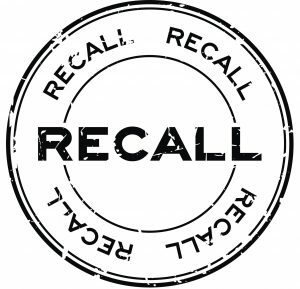 Why do foods get recalled, and how can I be better aware of recalls on foods I’ve purchased? 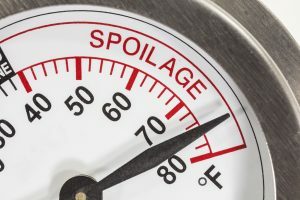 Typically, food recalls are a voluntary response from a food supplier or manufacturer when their product has been mislabeled or hazardous, according to the U.S. Food and Drug Administration. Food mislabeling – such as listing the wrong ingredients, failing to declare allergens or offering misleading claims about the product – can pose a risk to consumers looking to avoid certain allergens (chemical hazards) or ingredients. Allergen mislabeling is the most common cause of food recalls in the U.S. 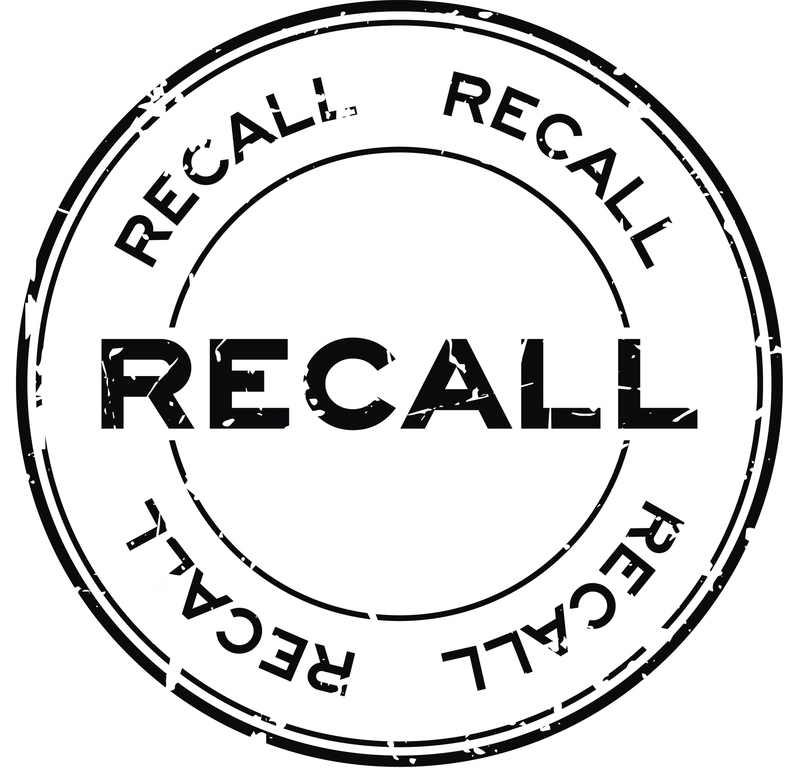 Depending on the nature of the food recall, consumers typically will be advised to throw out the affected product or return the item to the store of purchase for a refund. Foods can also be recalled for containing foreign objects or physical hazards such as metal shavings or plastic pieces from equipment or packaging, the FDA says, or for contamination with microbial pathogens (biological hazards) such as E. coli, Salmonella or Listeria. If consumers find they have a recalled product in their refrigerator or pantry, they should follow instructions from regulators or the producer regarding its disposition. One way to keep abreast of food recalls is to sign up for notifications by FDA. You can visit their website at fda.gov/Safety/Recalls/default.htm to request notifications of food recalls, market withdrawals and safety alerts. The site also lists historical data on those issues. Another resource that alerts consumers to food recalls is the U.S Department of Agriculture Foodkeeper app. The app, which offers consumers information on how to store food safely and how long certain foods last, was updated this month by USDA to include food safety recall alerts. Now, each time a user opens the Foodkeeper app, it will check the data feed for updates on food safety issues. You can also set the app to receive food recall alerts as they happen, once a day or weekly. The app, which also offers mobile accessibility, is available for Android and IOS devices. The information can also be accessed online at FoodSafety.gov. Some grocery stores also offer a service in which they will notify their customers who have loyalty cards with the store, of food recalls. A receipt of previous purchases will be associated with the customer loyalty information so that individuals can receive a notice from an automated messaging service if a food purchase is later recalled. One of the greatest barriers to a successful recall is food perishability. Depending on the product, consumers may have already eaten the food before learning of the recall. Rapid response systems like those described here help shorten the time between the announcement from the company and the consumer response. Editor: This column was edited by Abigail Snyder, an assistant professor and food safety field specialist for CFAES. I know that autumn is a great time to buy pumpkins, but I’m not so sure what other produce is in season in the fall. Any ideas? 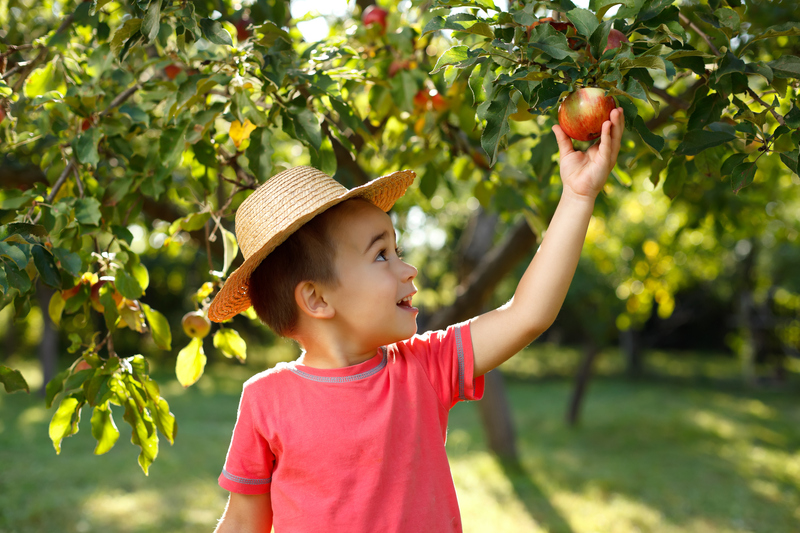 Fall is a great time for apples, pears, other seasonal fruits and veggies. 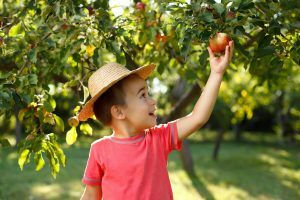 Fall is a good time to start looking to buy pears, apples and hard squash, among many other seasonal fruits and vegetables. In fact, those are some of the items that many grocery stores are now starting to promote heavily at discounted prices in their grocery aisles, according to the Sept. 1 edition of the National Retail Report, a weekly roundup of advertised retail pricing information compiled by the U.S. Department of Agriculture. While improved technology and agricultural innovations mean that consumers can access fresh fruits and vegetables year round, fruits and vegetables naturally grow in cycles and ripen during a certain season. When ripe, produce is fresher and typically has its best taste. Seasonal fruits and vegetables are also typically cheaper to purchase because they are easier to produce than fruits and vegetables that are grown out of season. So how do you know which fruits and vegetables are in season? One way to find seasonal foods near you is to use a new app and website developed by Grace Communications Foundation, a nonprofit organization that advocates for sustainable foods. The app compiles data from the USDA and the Natural Resources Defense Council on over 140 varieties of produce to show users what fruits, vegetables, herbs and nuts are in season on a state-by-state basis. Called the Seasonal Food Guide, the app and website allow users to check what produce is in season in half-month increments in each state. Other sources to check for what’s in season include the USDA Seasonal Produce Guide, Ohio Farm Bureau and Ohio Proud, among others. So get out and enjoy some really tasty, healthy, fresh fruits and veggies. Your body — and especially your waistline — will thank you! Not only are fruits and veggies naturally low in calories, eating them may help reduce the risks of multiple diseases including high blood pressure, some cancers and heart disease, experts say. Editor: This column was reviewed by Kate Shumaker, an Ohio State University Extension Educator and registered dietitian.